Many of the visitors to Yosemite National Park enter the park from its western entrances as it is the closest to the major California cities. The western part of the park is also home to the famed Yosemite Valley where many of the major attractions are located. Many visitors stay in the valley and never travel to the eastern side of the park. That is a shame as there is a lot to see and has a unique beauty of its own. To drive from the valley to the town of Lee Vining (home to the famed Mono Lake), the only choice of roads is Tioga Road. 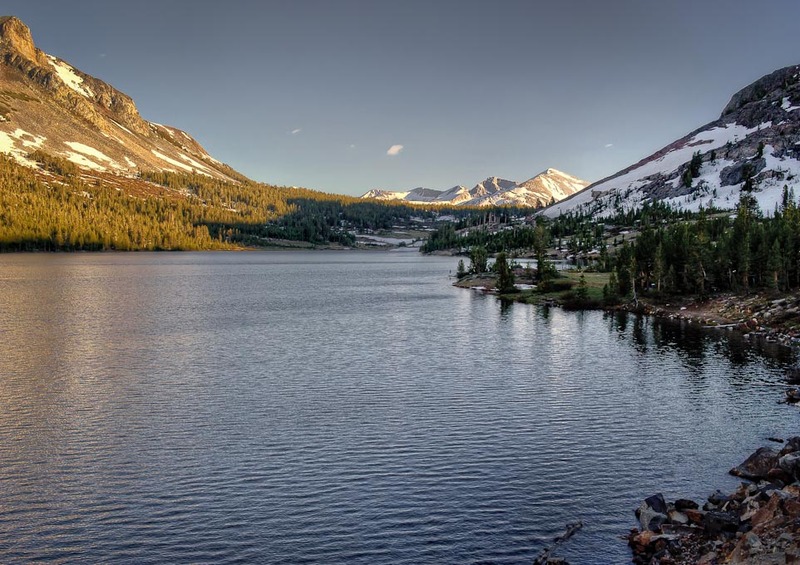 The trip is about 75 miles one way and the road peaks at nearly 10,000 feet at the Tioga Pass. This is one of the most scenic drives in America and is only open in season which is generally late May to October, depending on snow. We left around noon to explore Tioga Raod, making stops along the way and ultimately having dinner in Lee Vining. When we left town, is was approaching sunset and the light was phenomenal. Along the way, we stopped along the road to take this image. I highly recommend taking this road the next time you are in Yosemite.